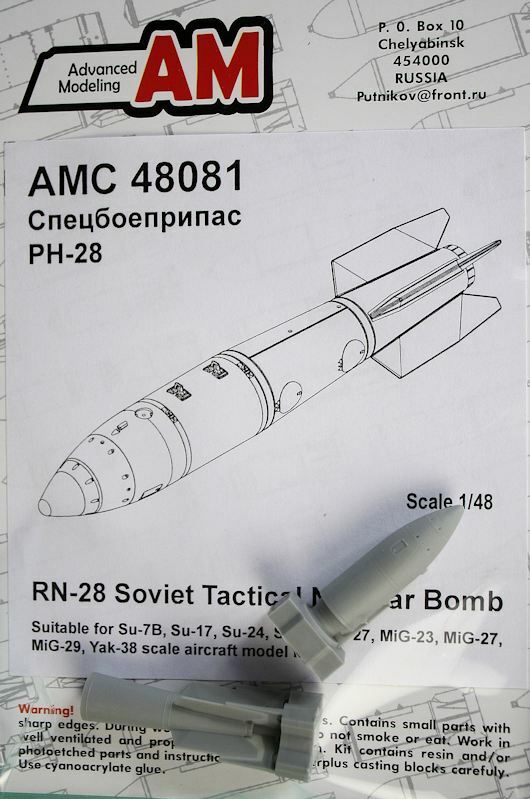 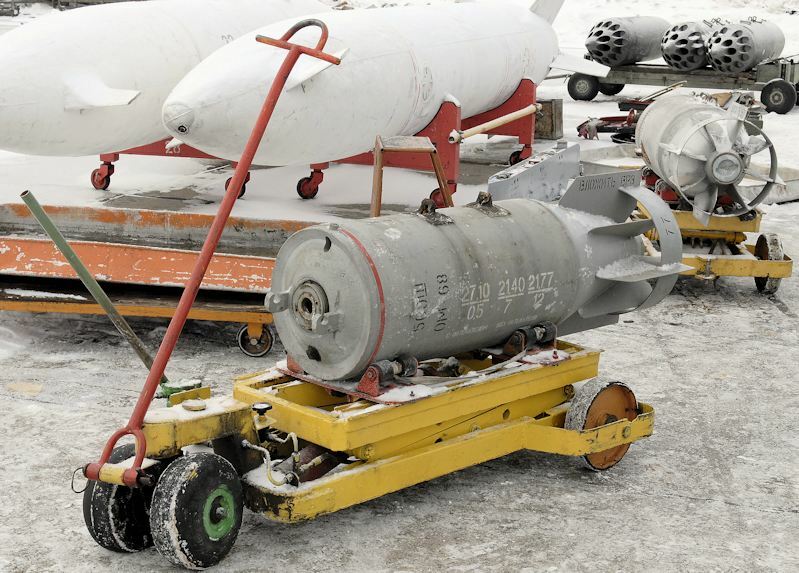 RN-28 Soviet Tactical Nuclear Bomb. 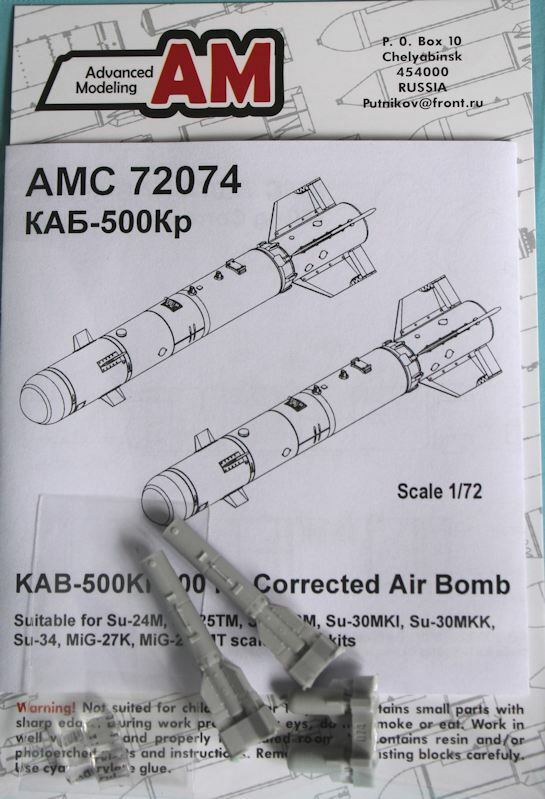 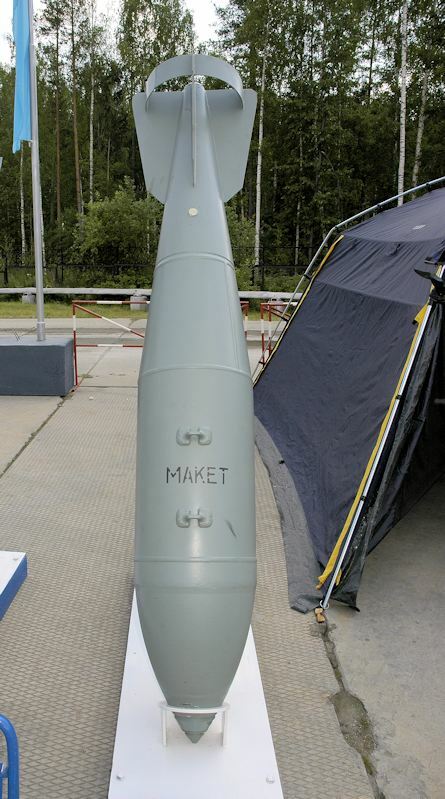 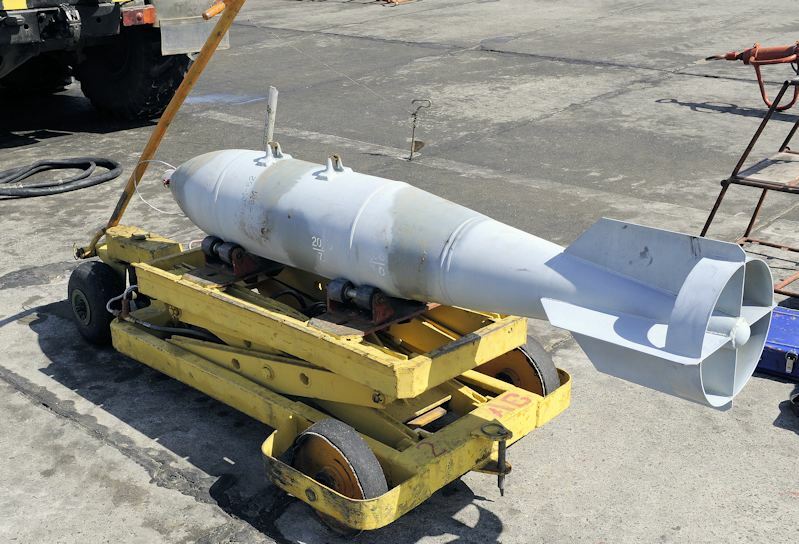 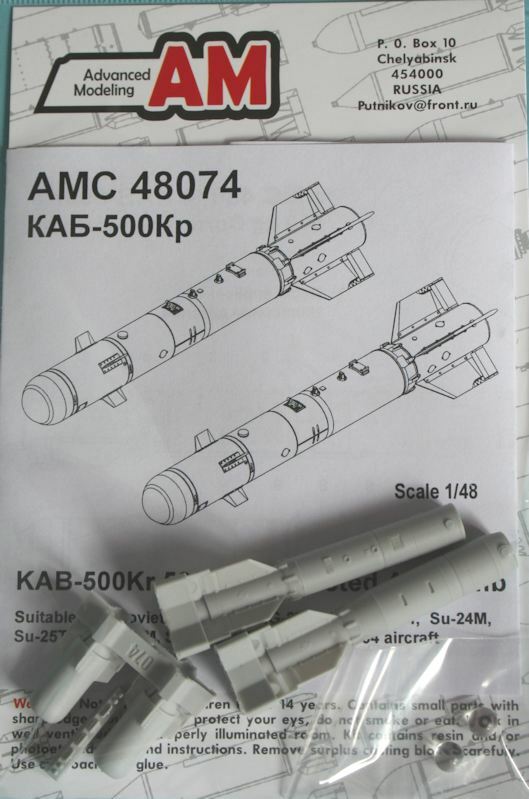 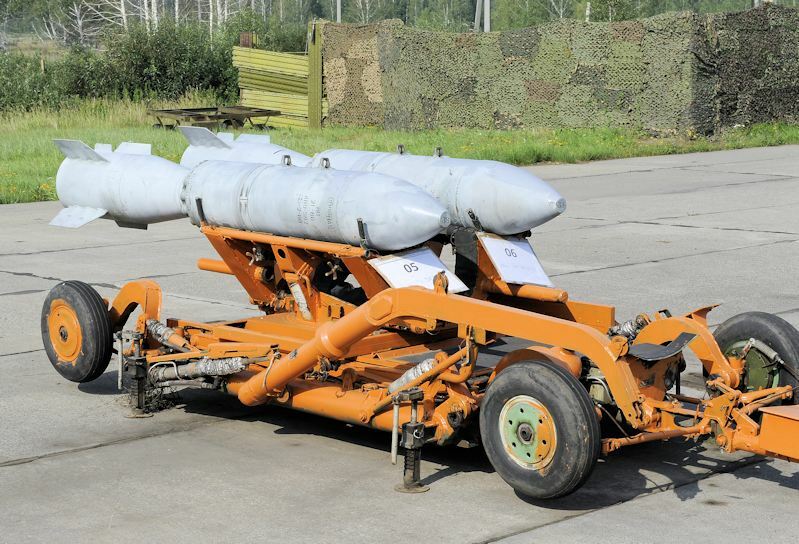 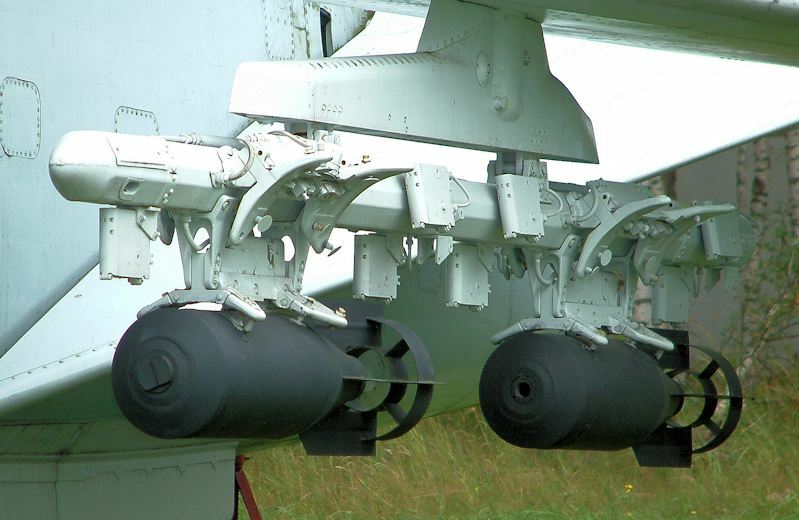 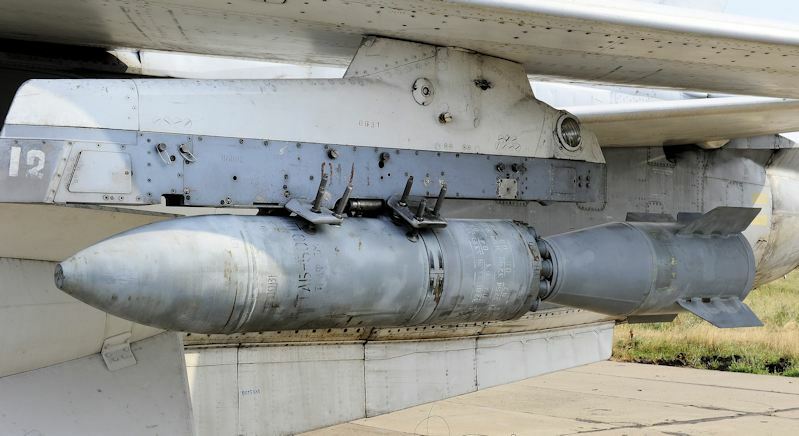 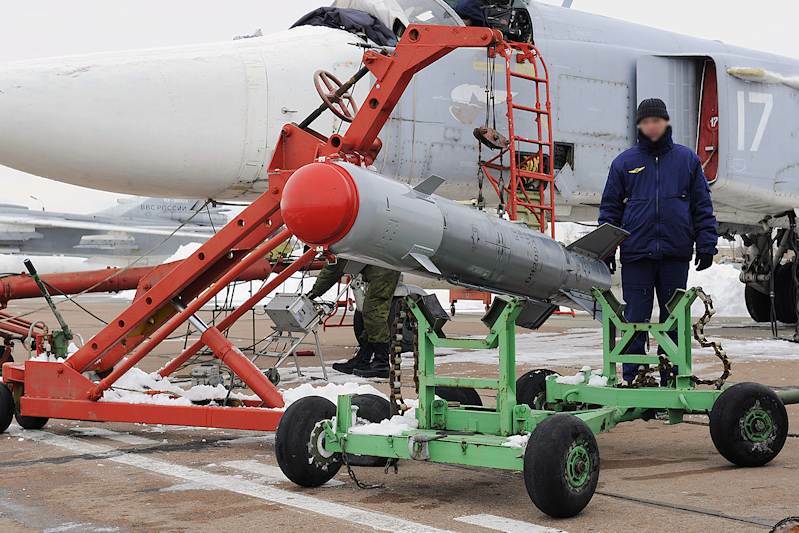 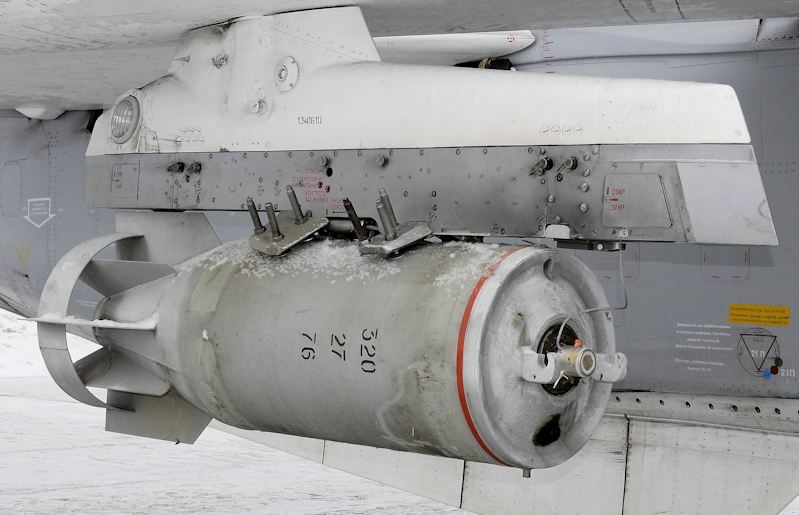 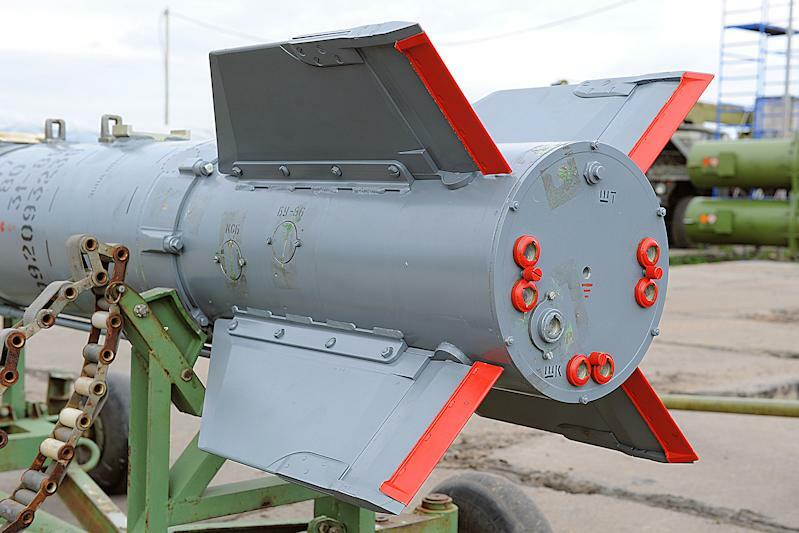 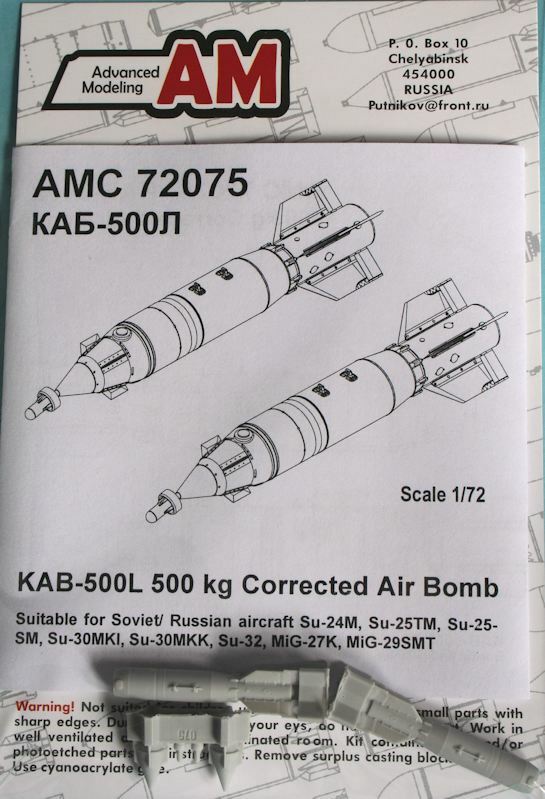 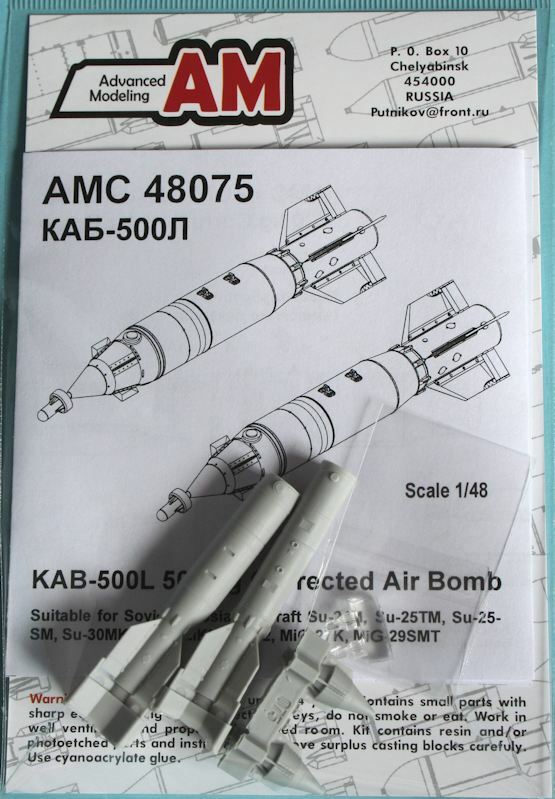 KAB-500Kr 500Kg Corrected Air Bomb. 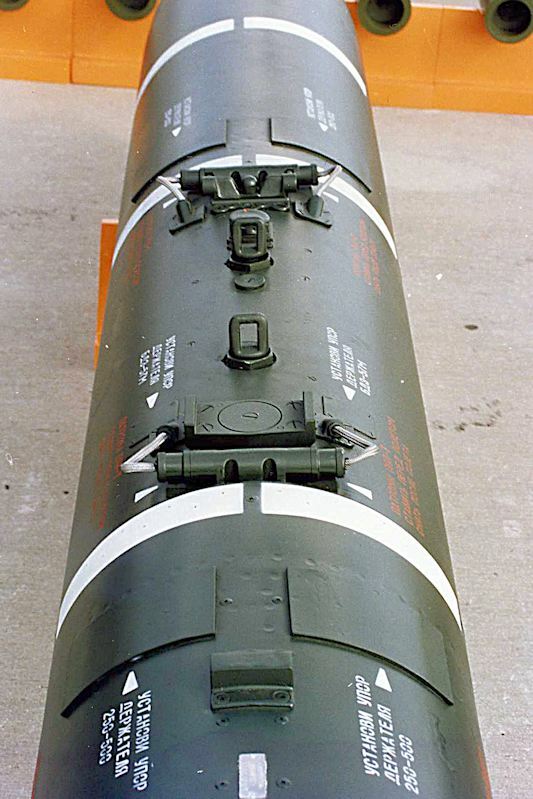 R-60 Short-range missile with P-62-1 launch rail. 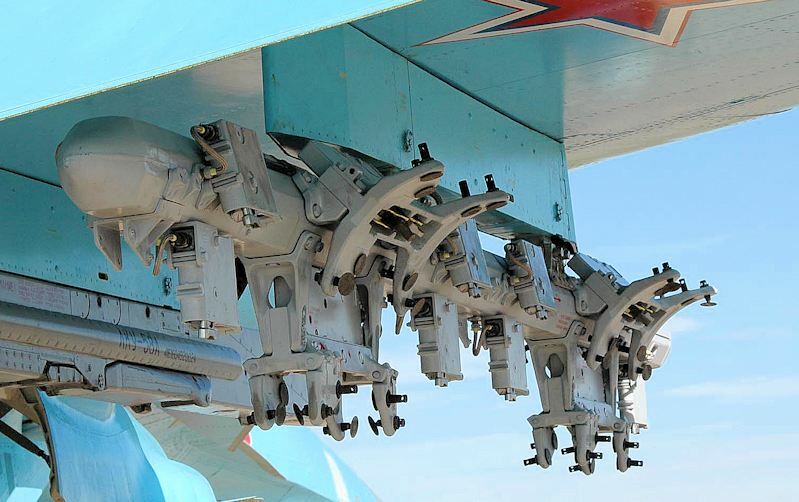 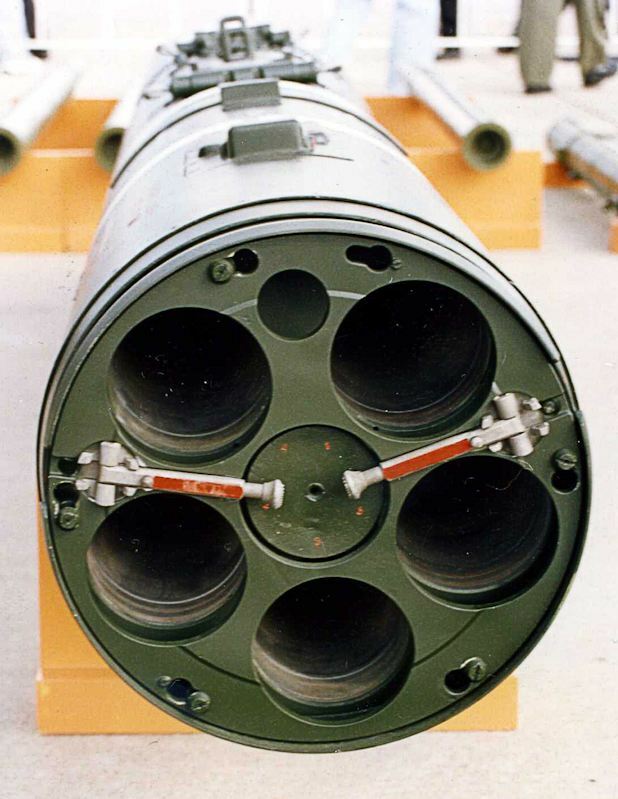 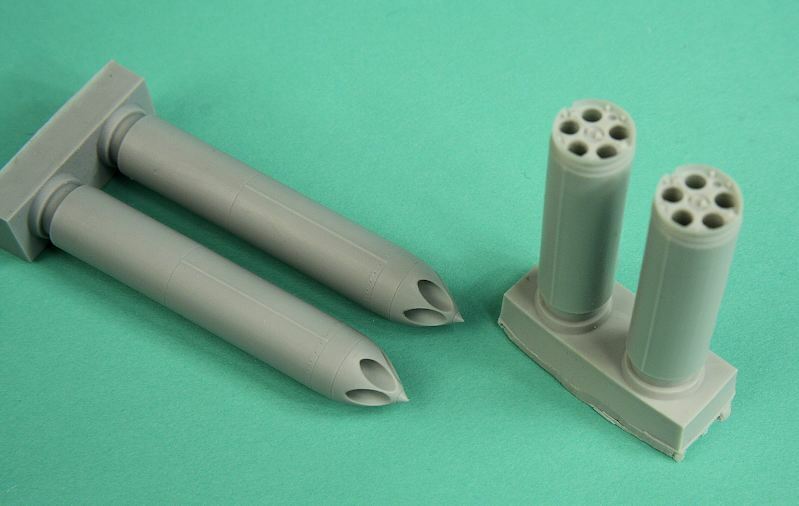 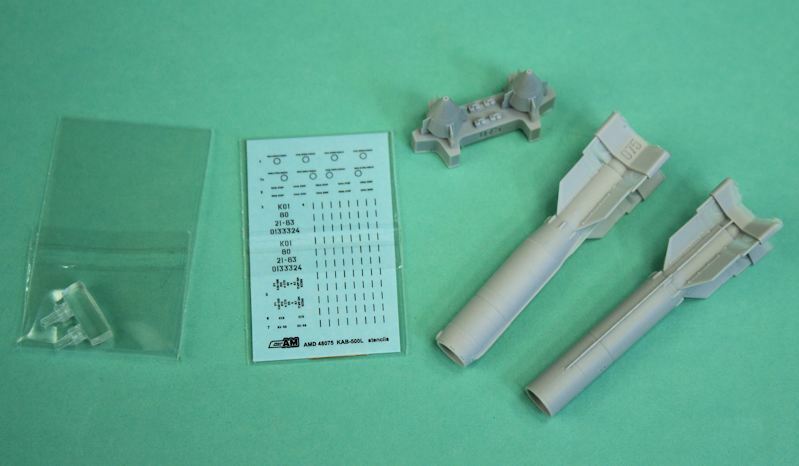 B-13L1 five-tube launcher for unguided missiles. 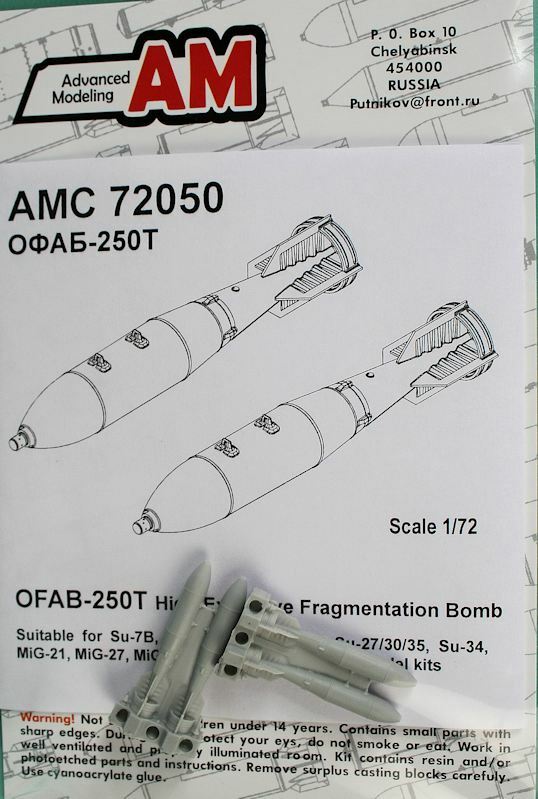 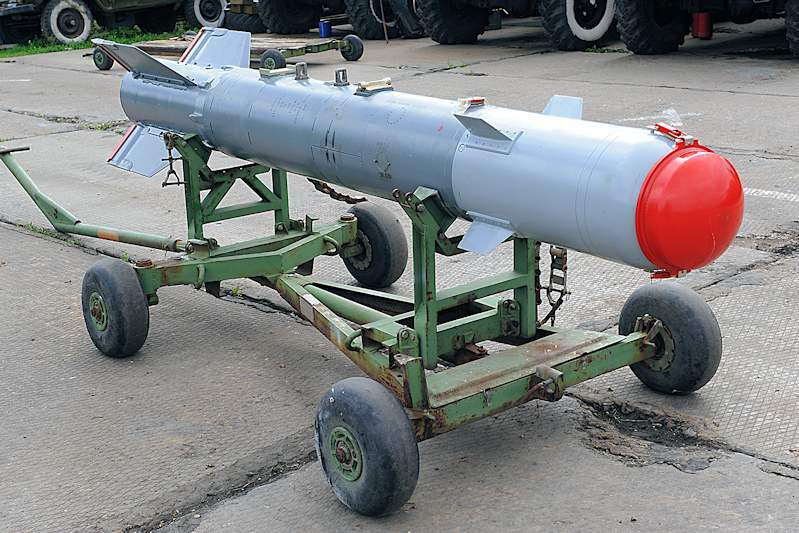 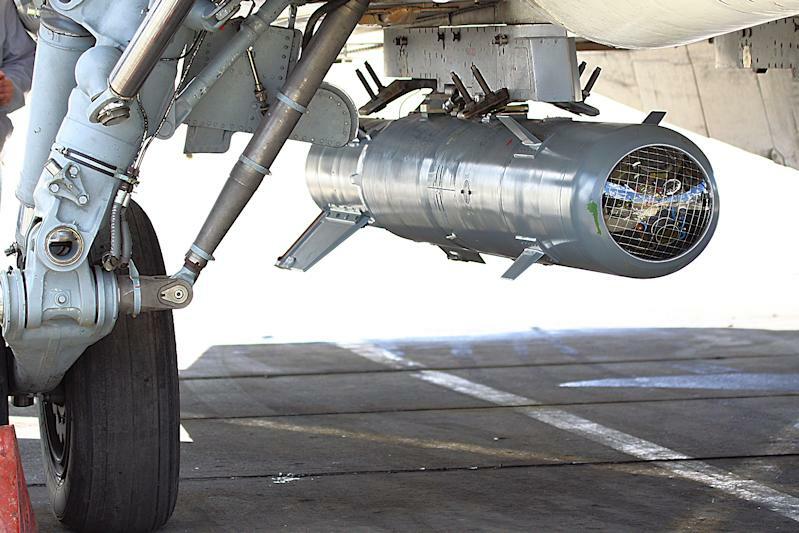 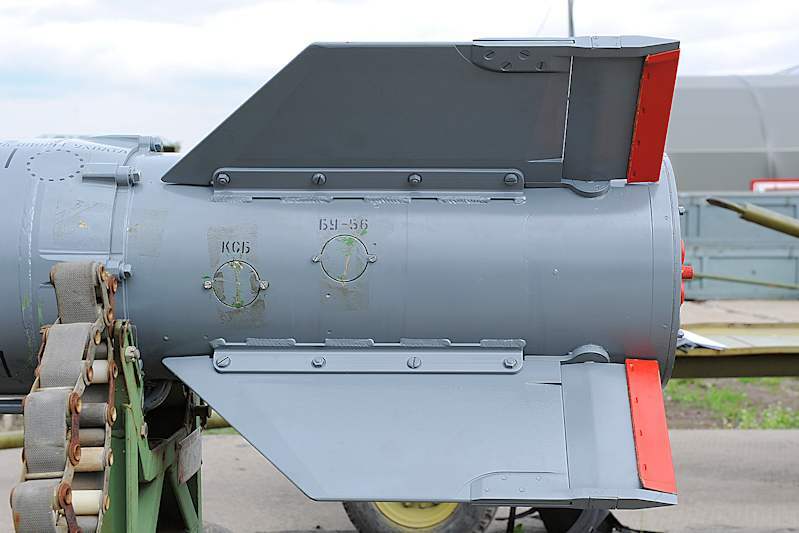 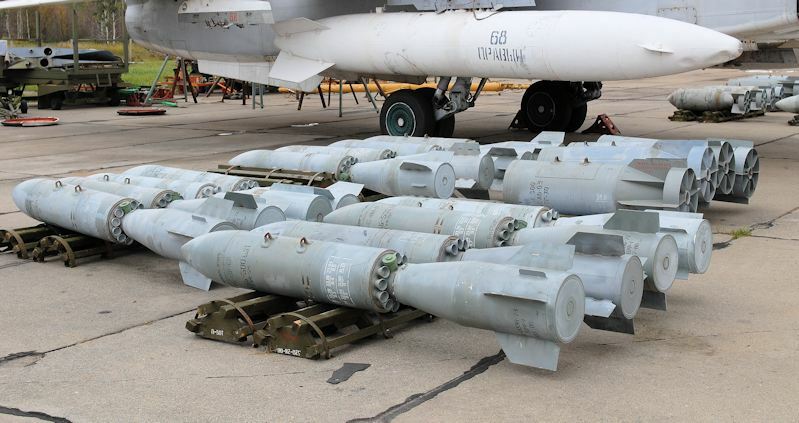 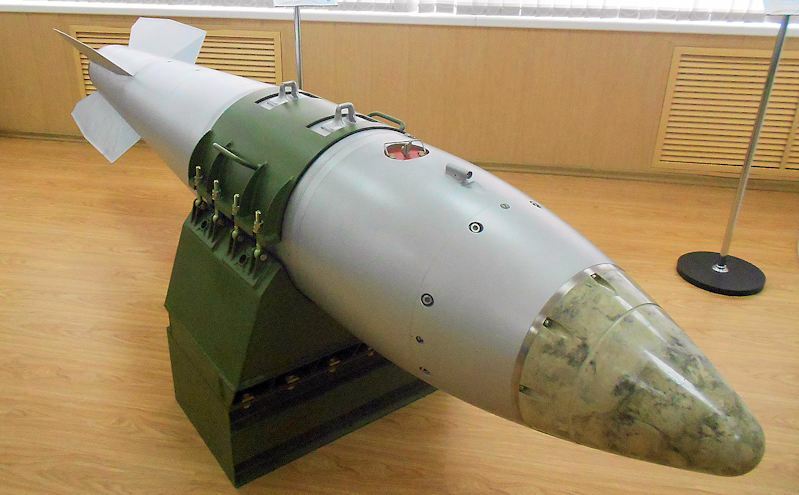 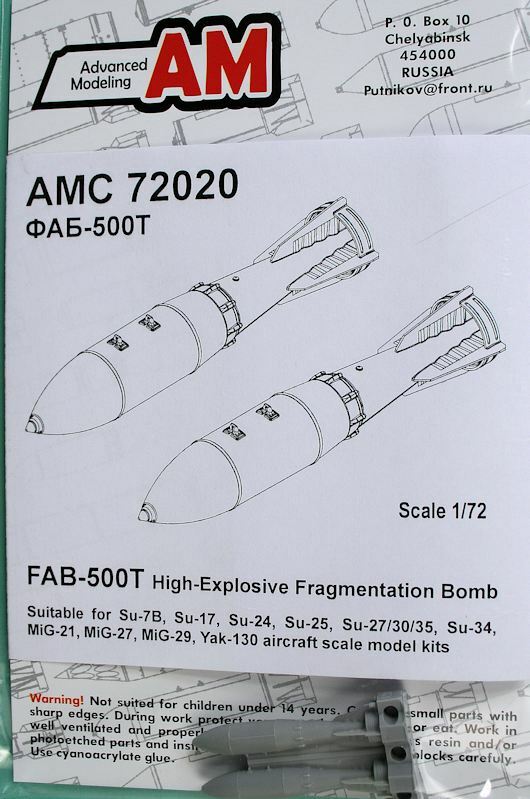 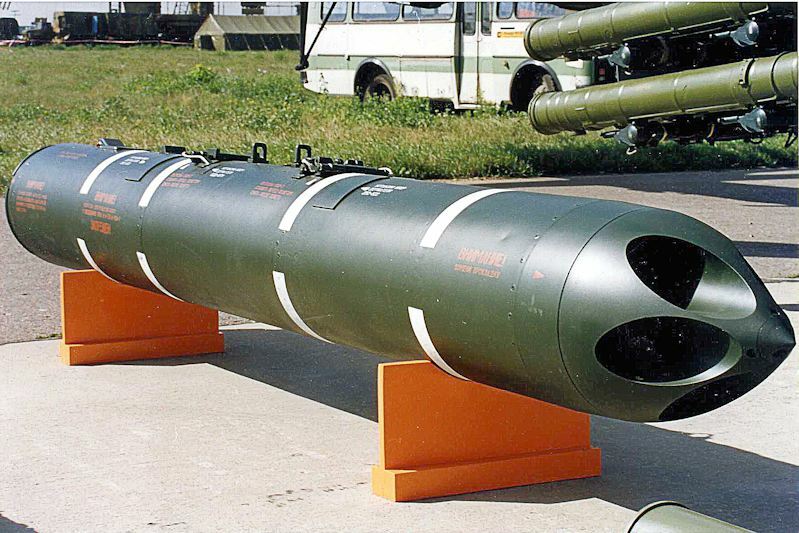 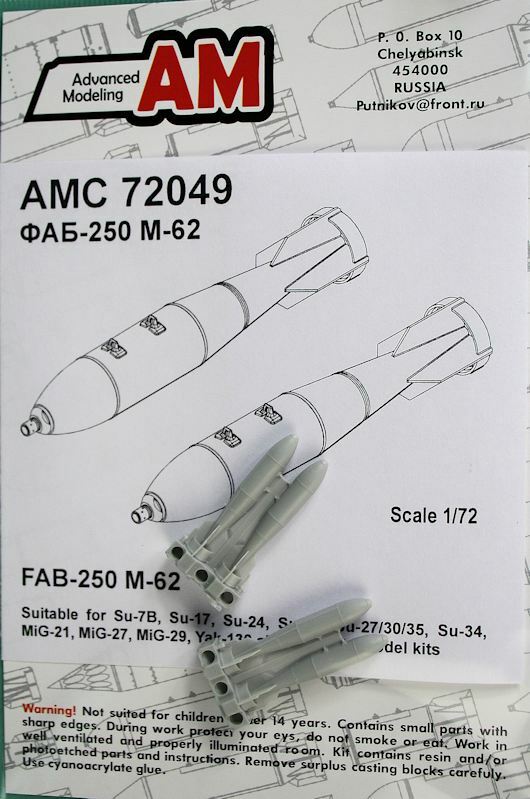 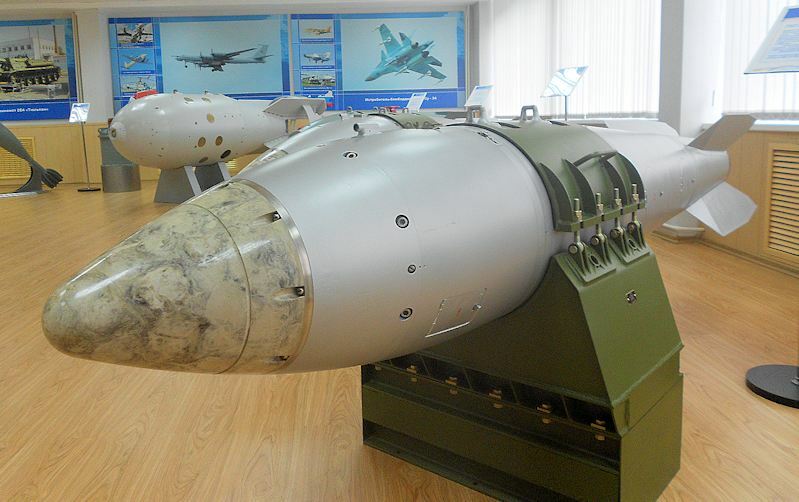 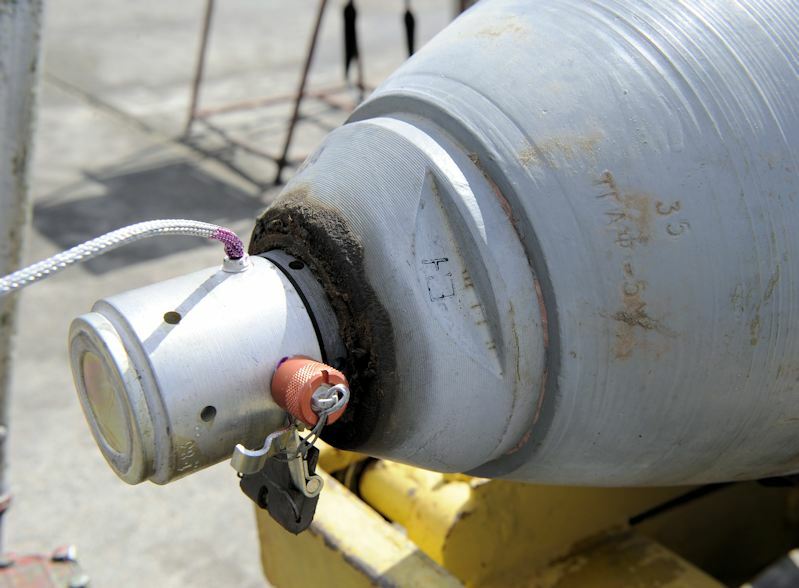 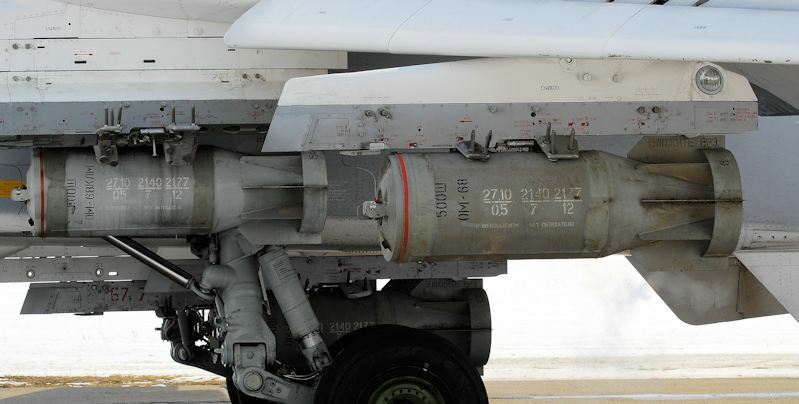 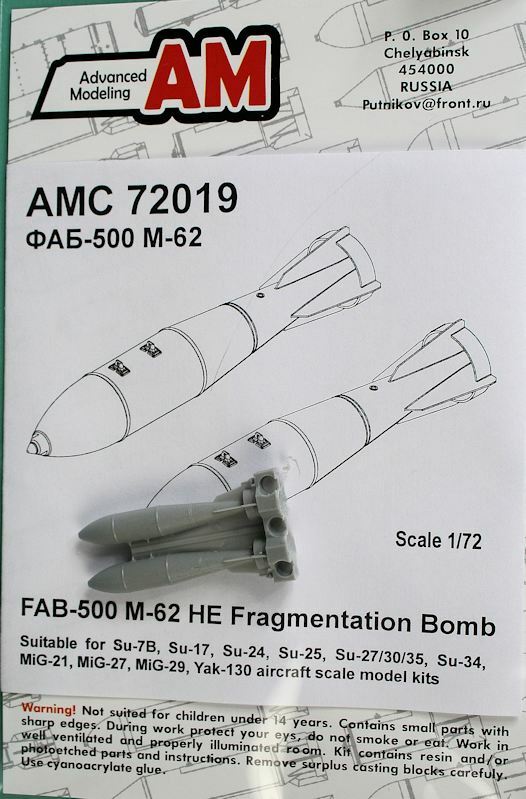 FAB-500 M-62 HE Fragmentation Bomb. 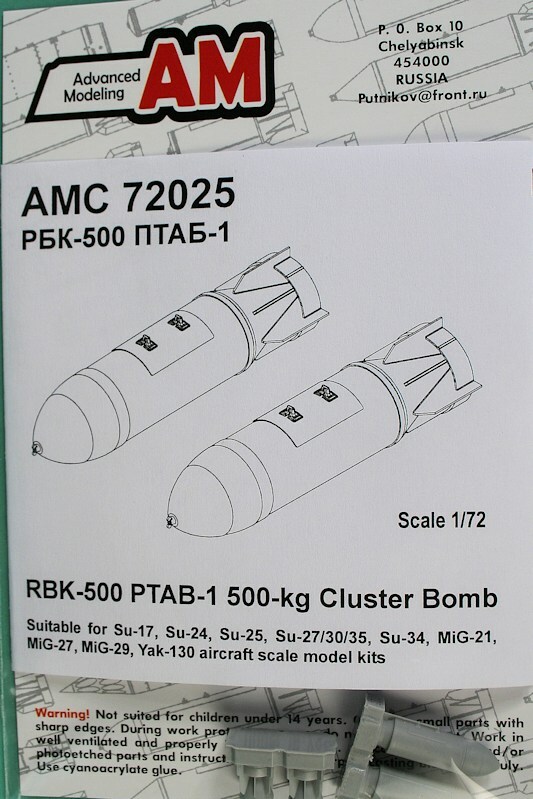 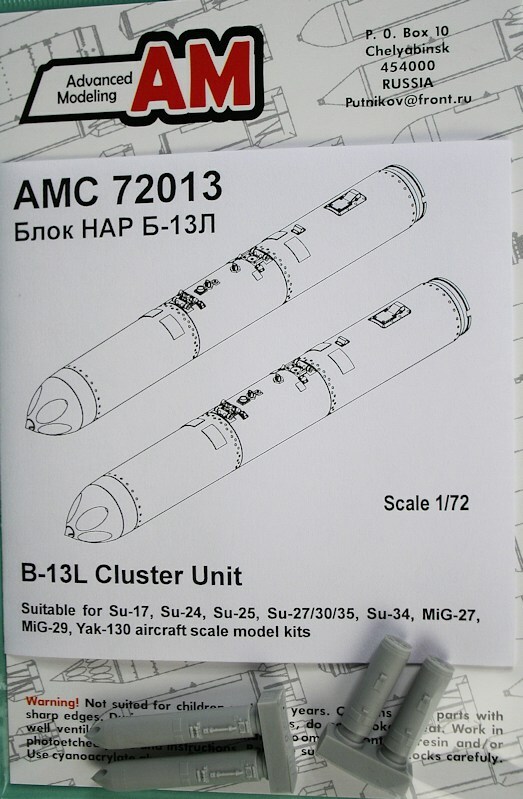 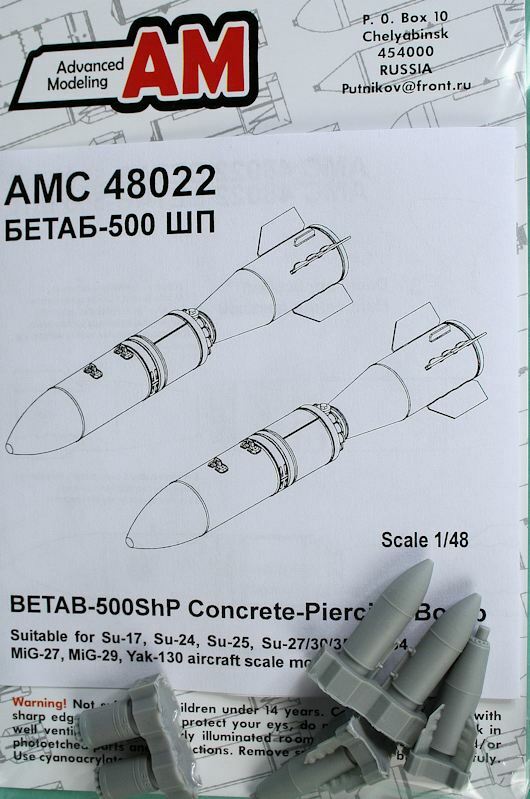 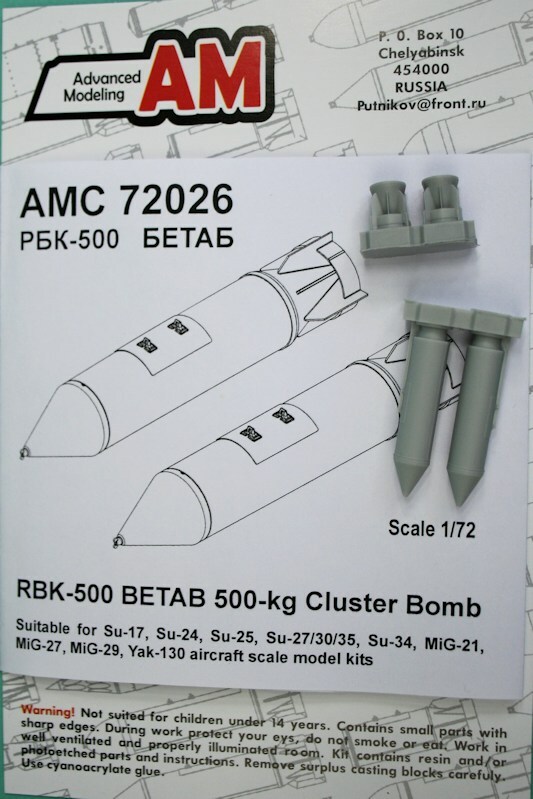 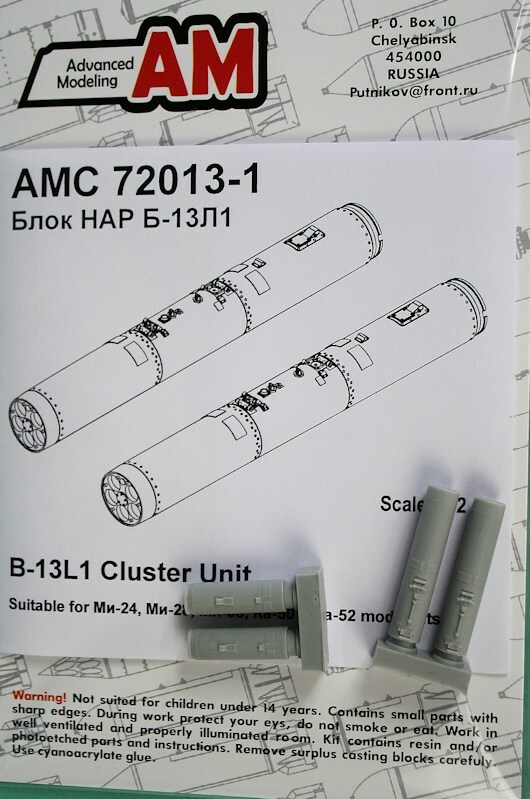 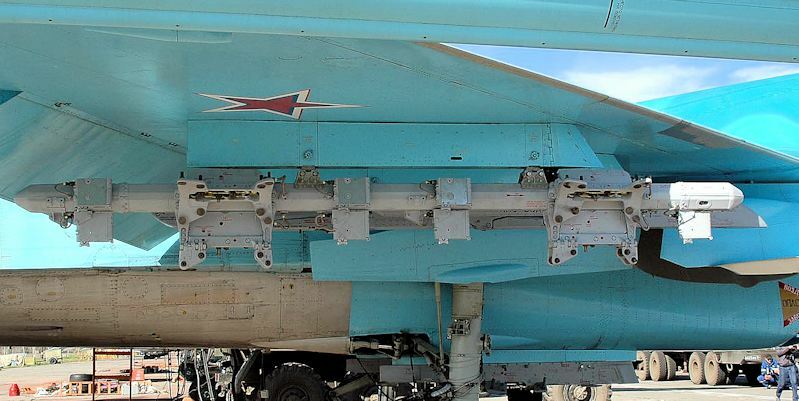 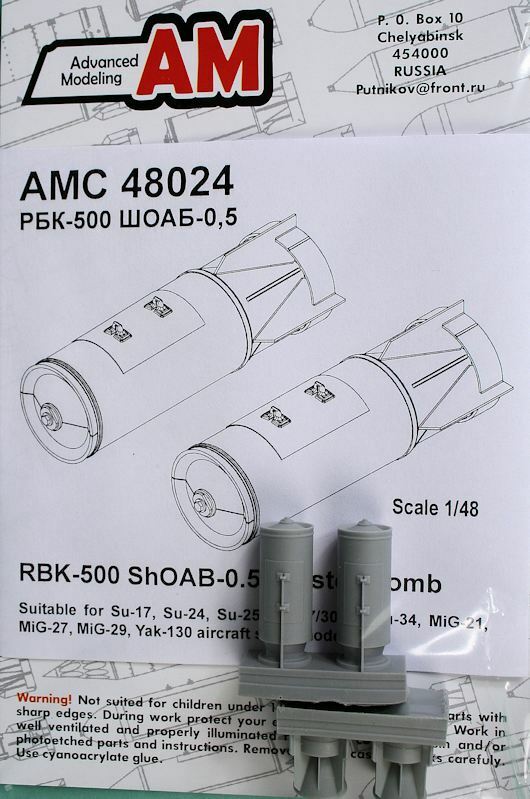 RBK-500 PTAB-1 500Kg Cluster Bomb. 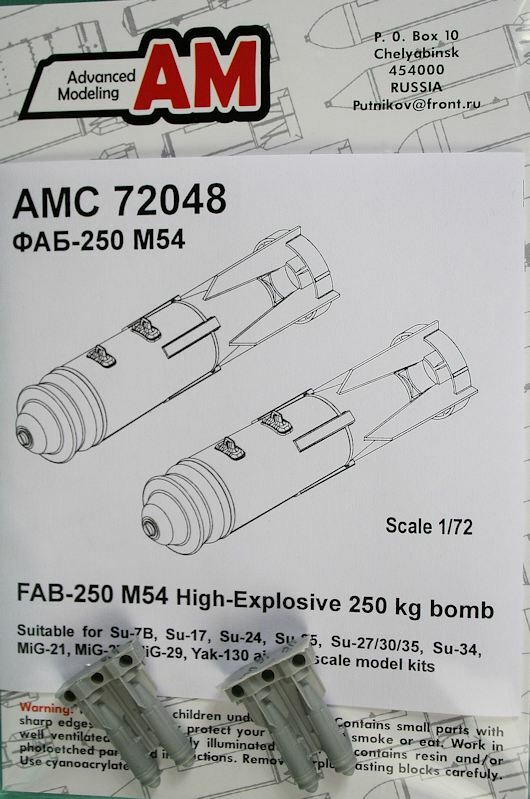 FAB-250 M54 HE 250Kg Bomb. 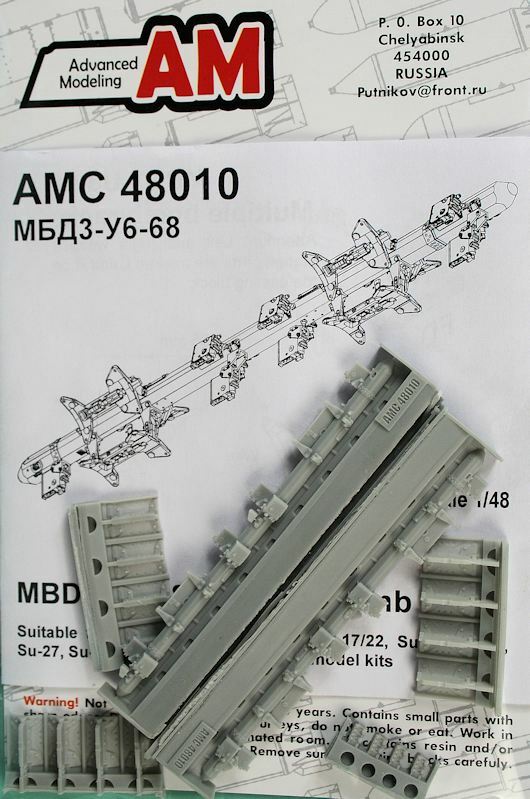 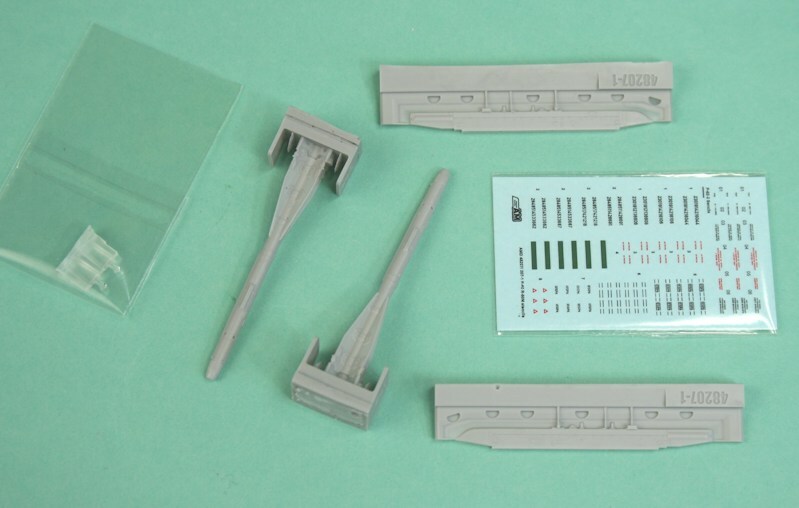 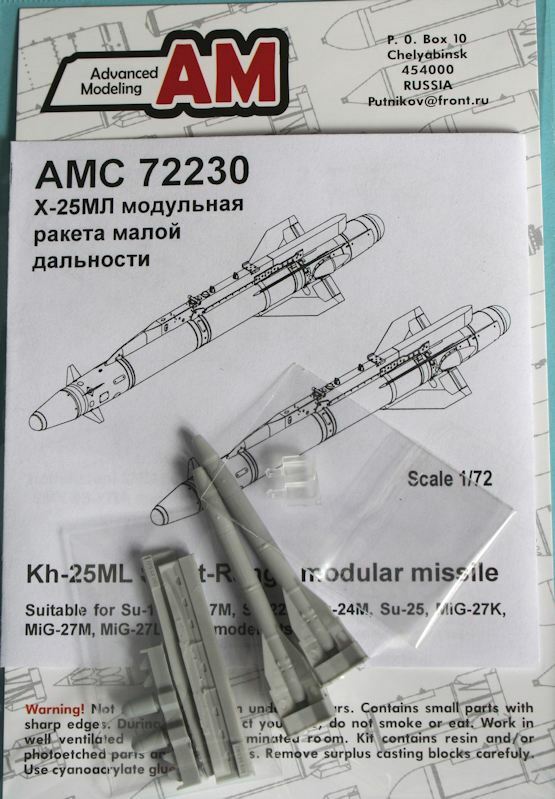 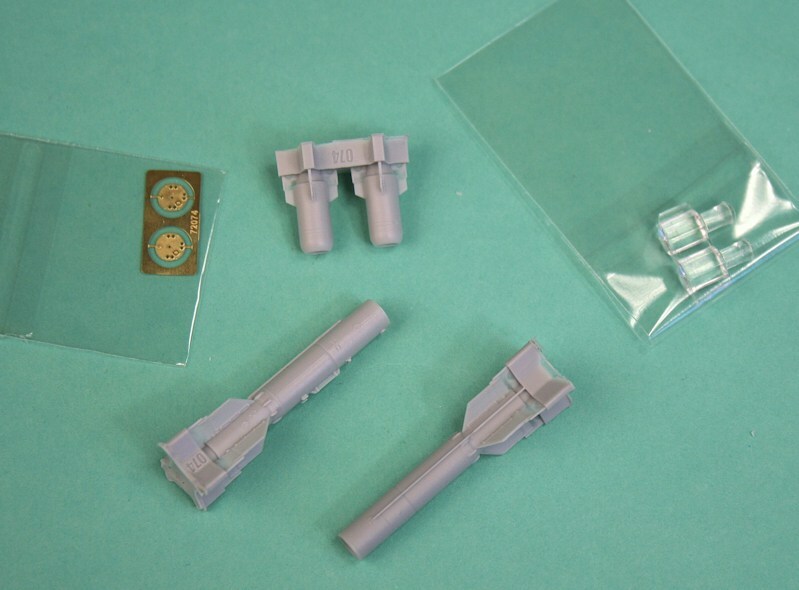 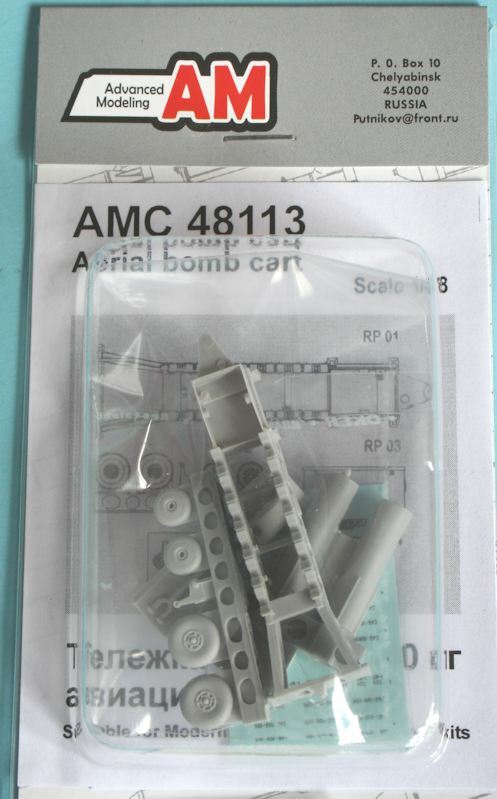 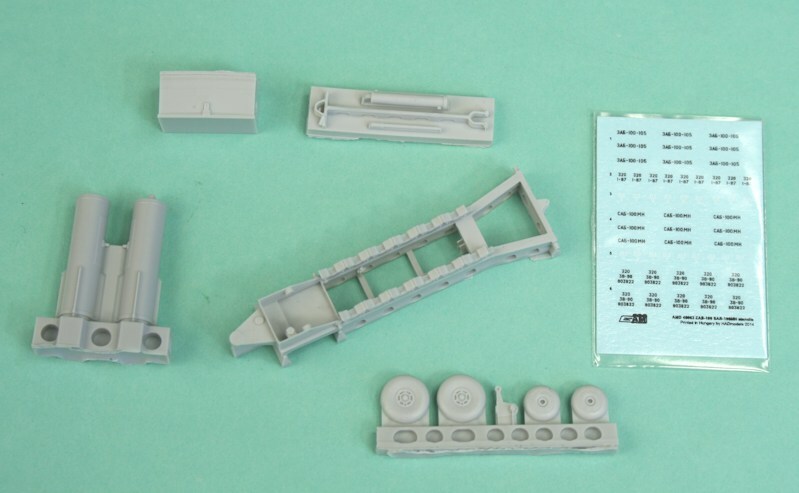 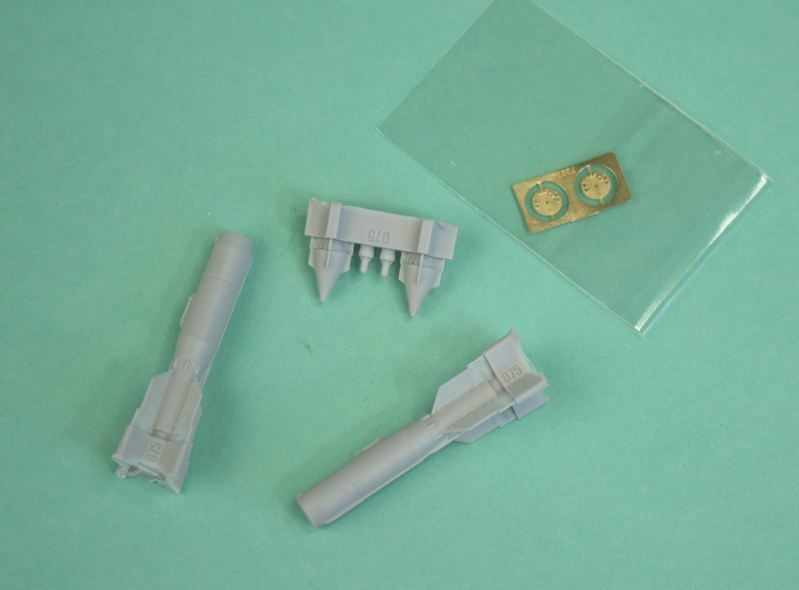 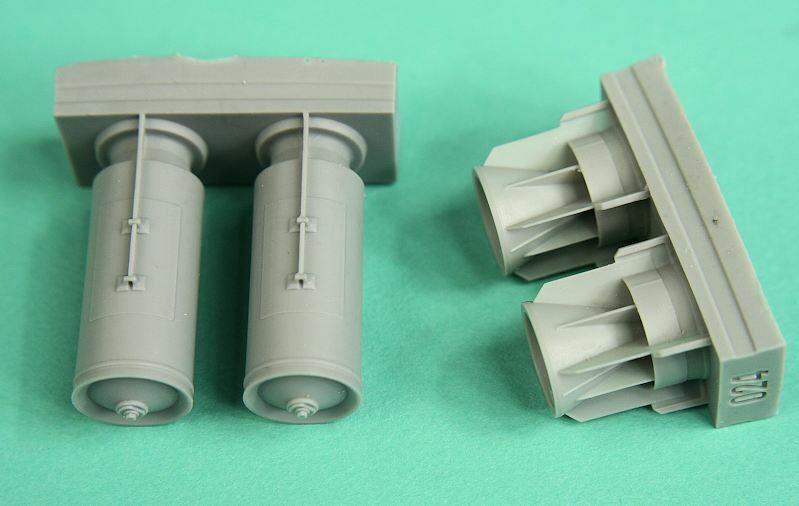 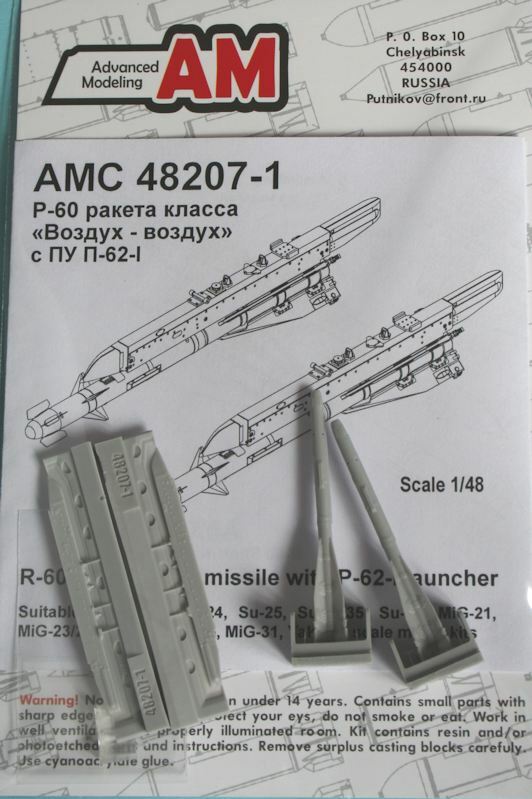 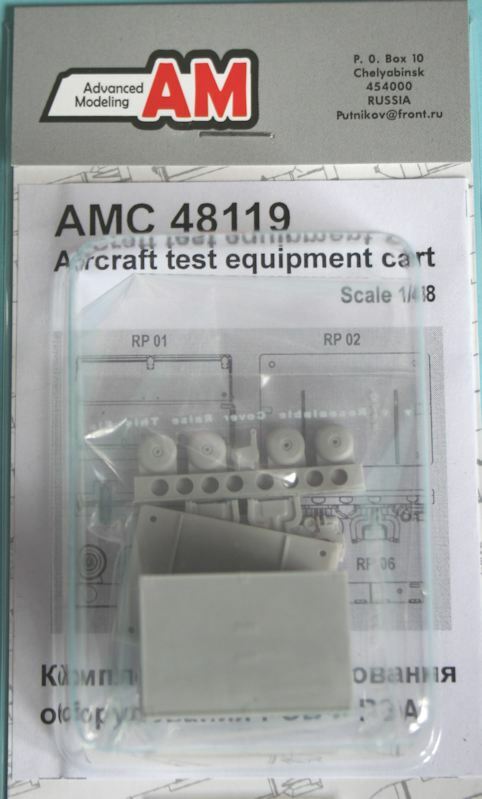 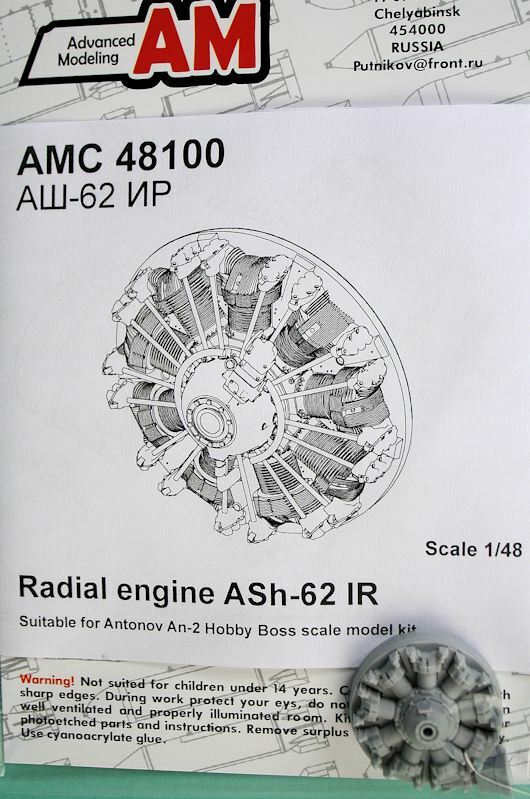 AM are working hard and in the nearest future going to add decals and painting notes to all 48 scale sets. 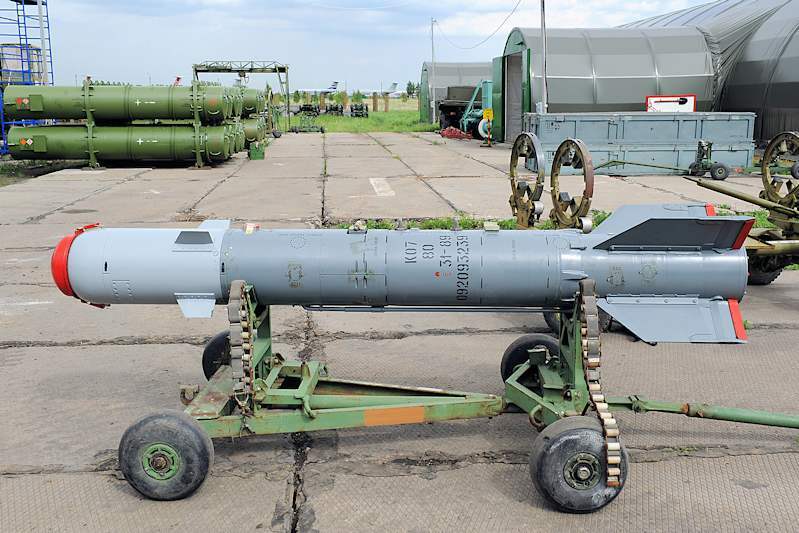 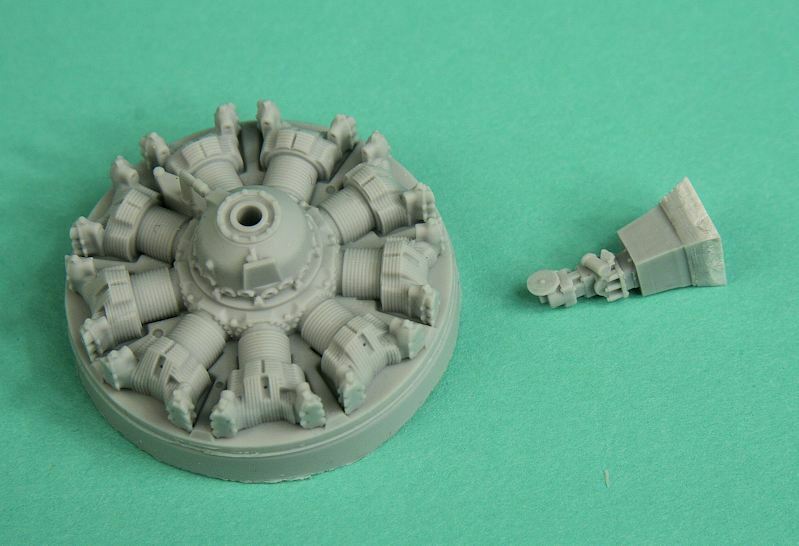 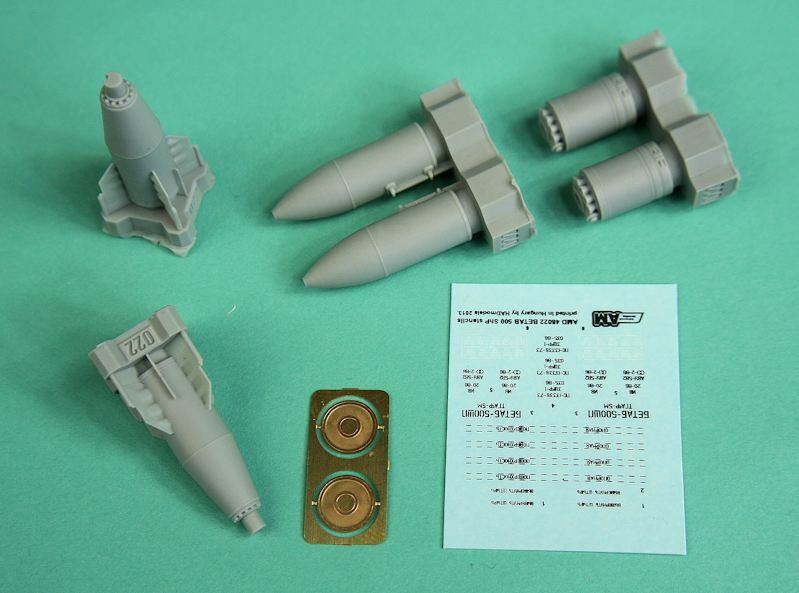 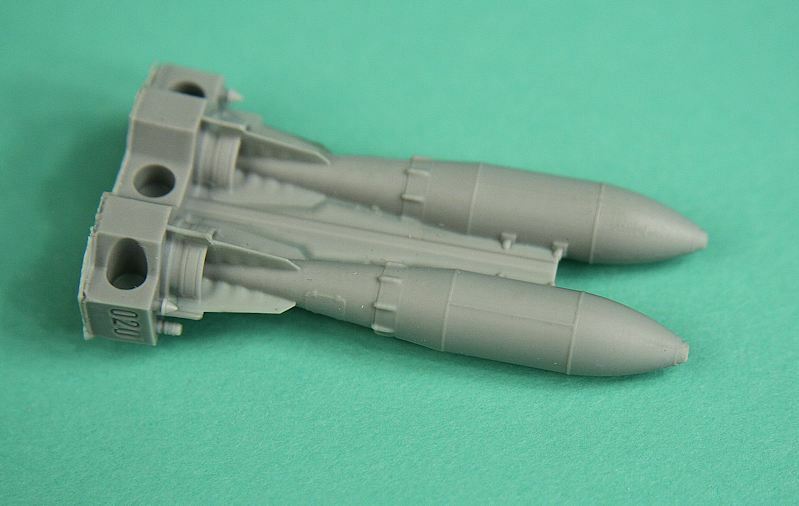 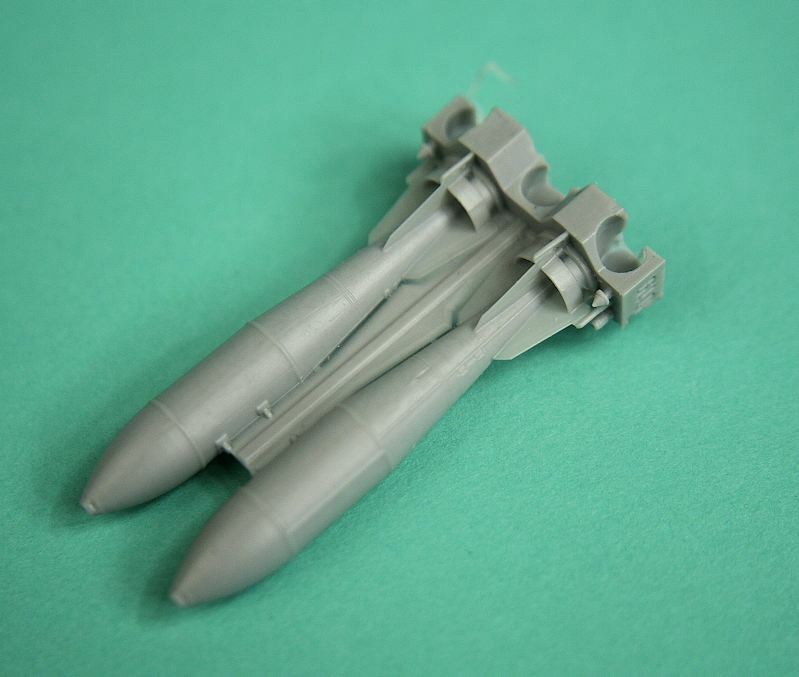 Soviet/Russian bombs are painted by Wild Gray enamel (very close to FS 26473). 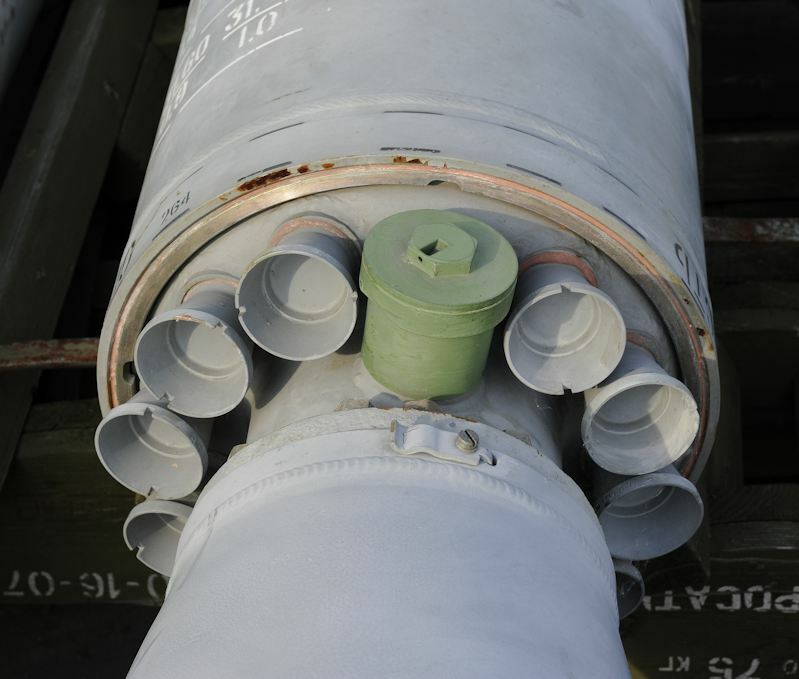 This paint quickly faded at storage of ammunition in airfield. 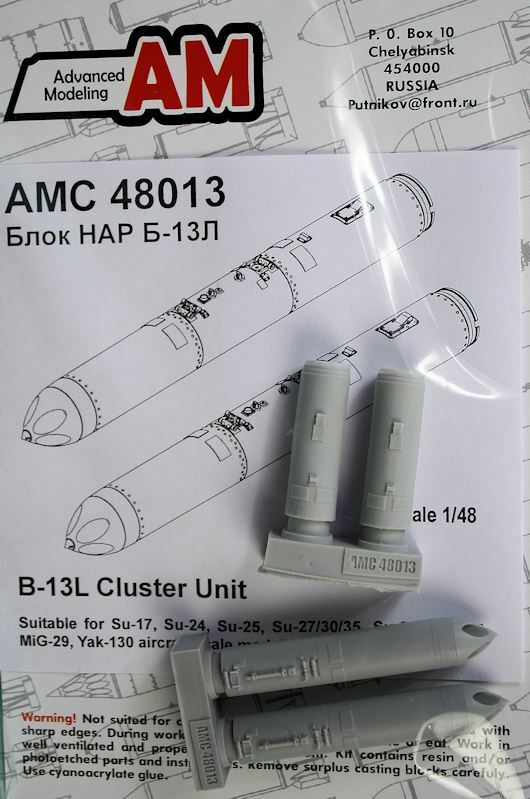 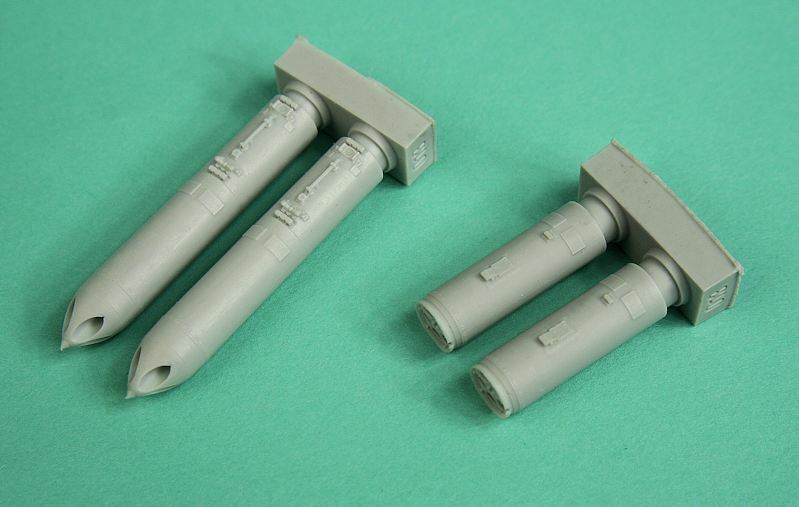 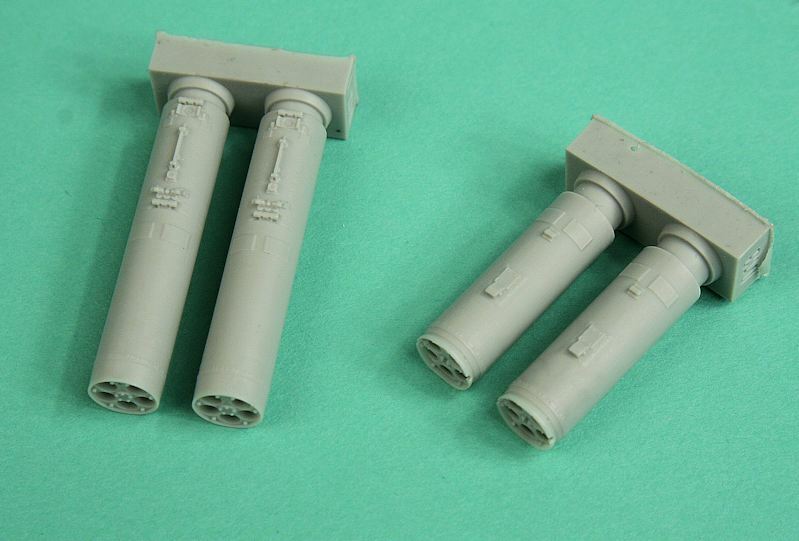 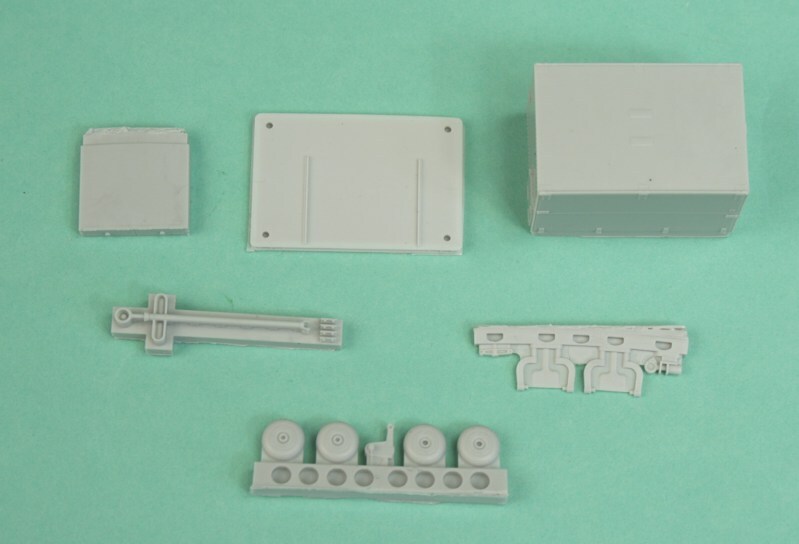 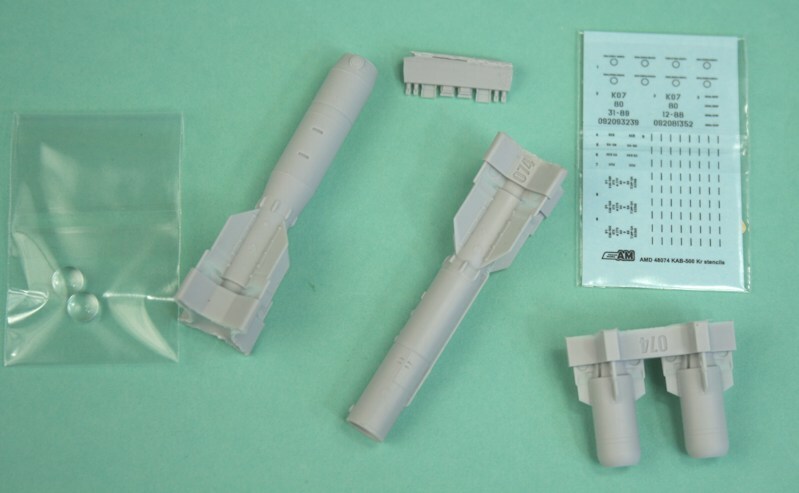 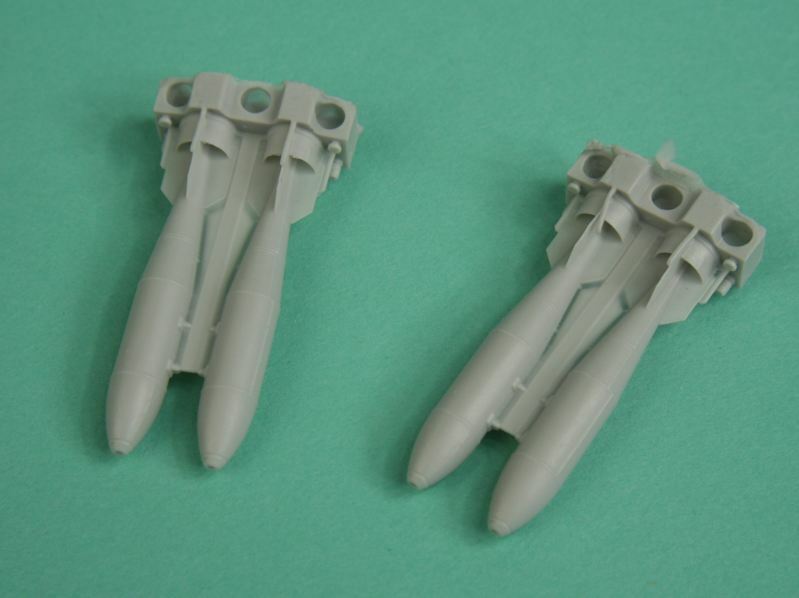 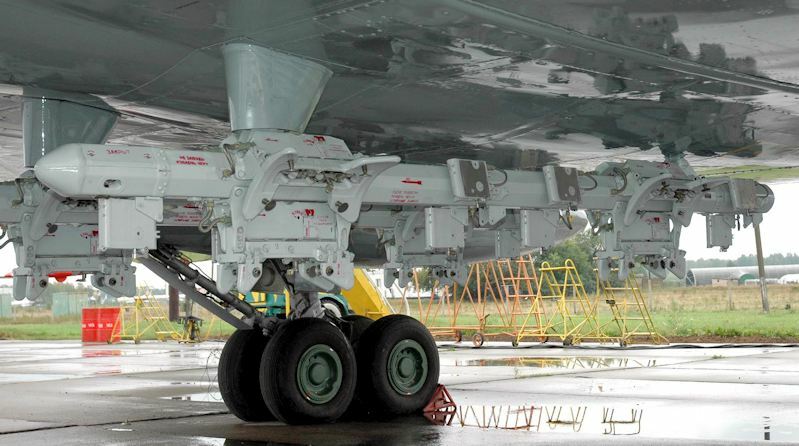 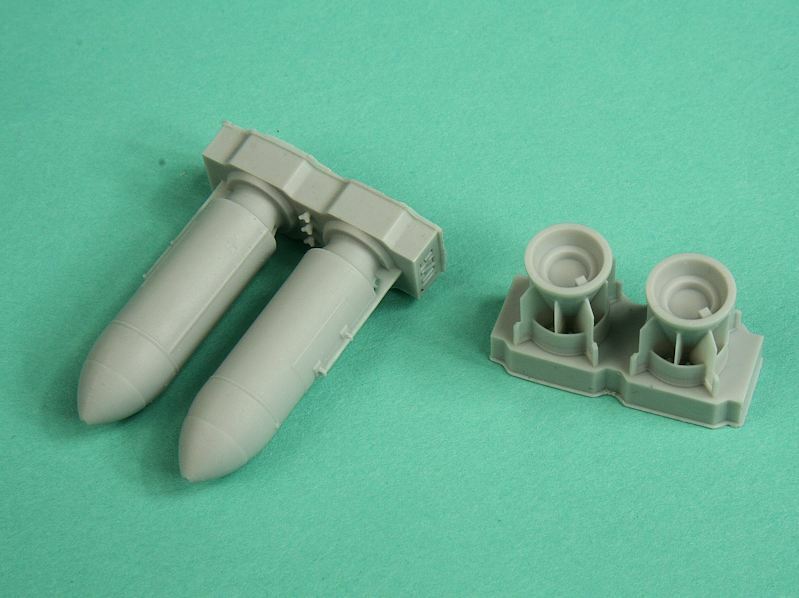 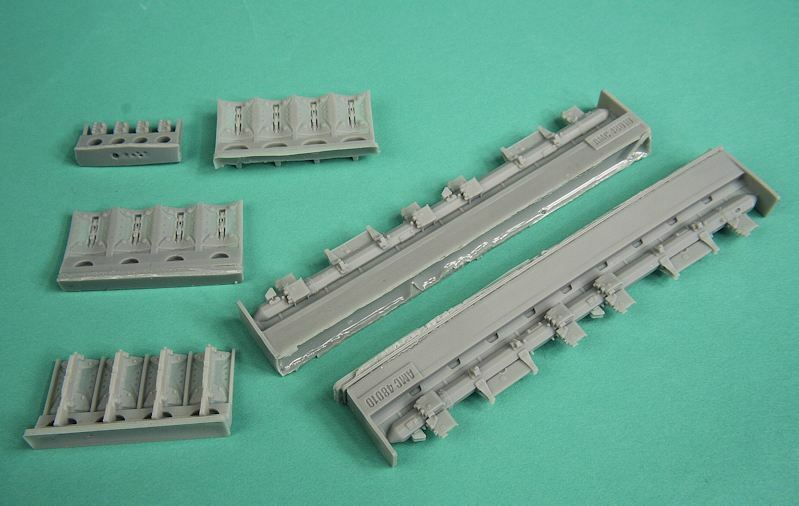 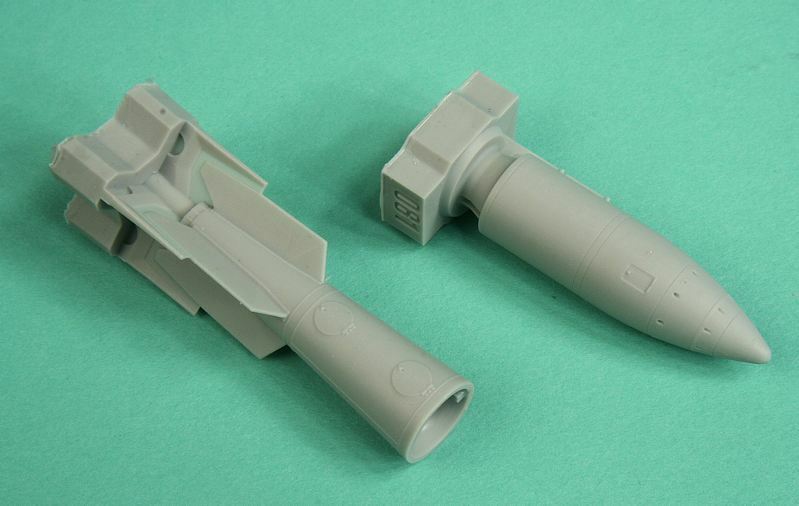 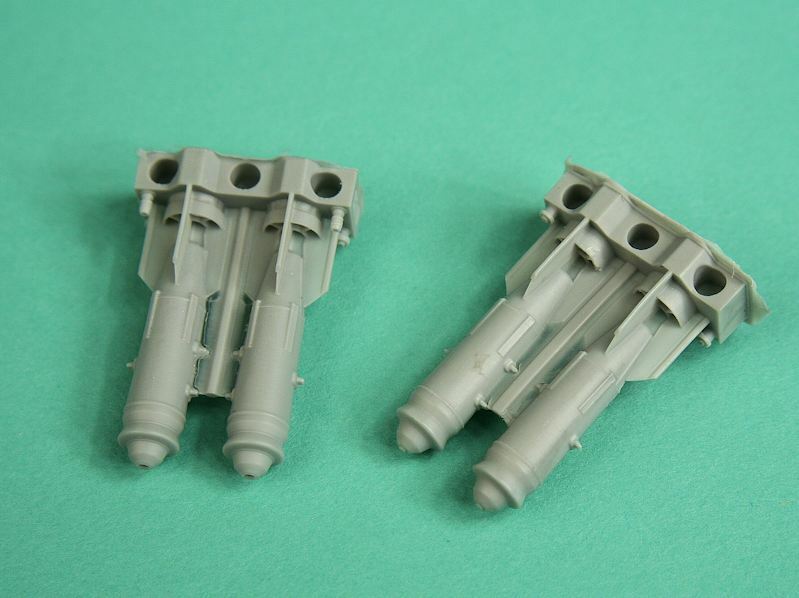 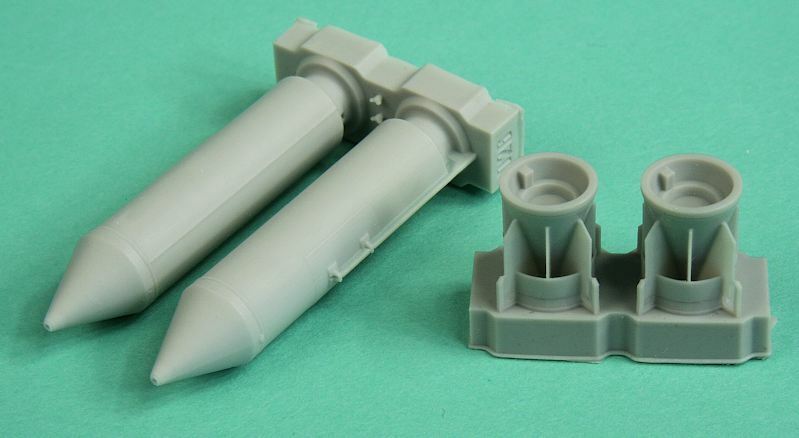 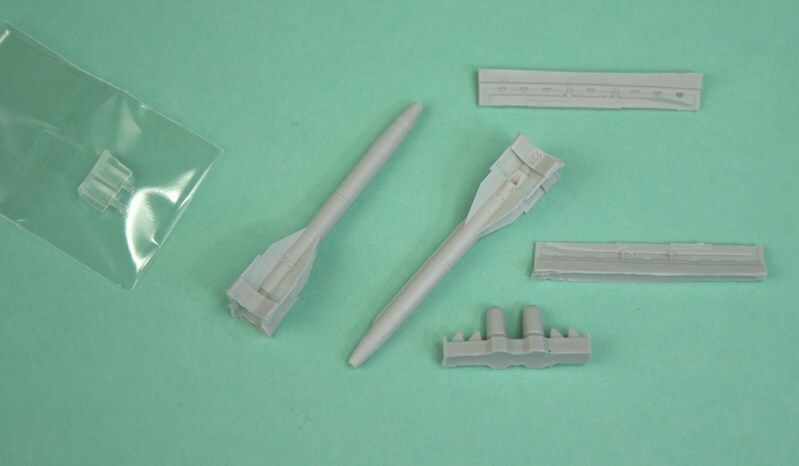 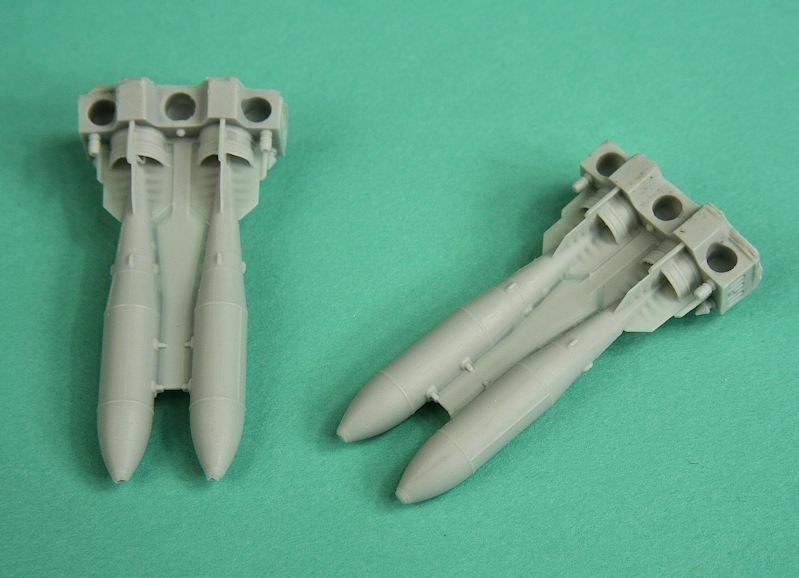 Note, B-13L and B-13L1 are usually left unpainted.